Bloody high council tax still! I wonder if that is in an area of Slough where there is a large Indian community - maybe large families? Granny semi semis? Don't laugh mate. This is going on all over Slough. It's almost expected. 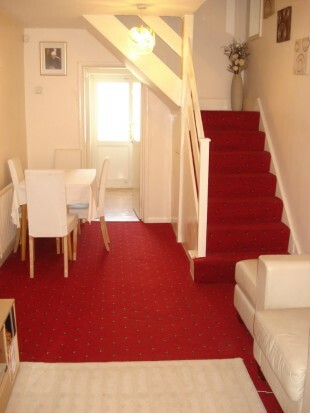 I'm trawling through houses to check prices and find anything suitable, and I'm deluged with this utter crap. Without getting controversial, in my experience it's certainly "other cultures" who are trying this on en masse. Householders whose property includes a self-contained annexe could be in for a nasty shockJack Barker It was a quiet weekday afternoon when a black Ford Mondeo swept up my mother’s driveway. Out popped a council inspector, an ID card dangling from his neck and a clipboard in his hands. He said he wanted to look around her house and he wanted, if that was OK, to do it now. He was halfway through the front door and I was trying to keep him out. 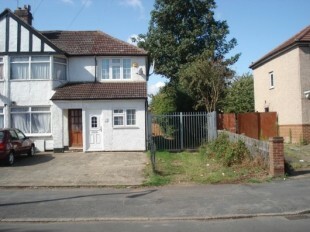 He suspected that the property might include a self-contained annexe and he wanted to see it. Not now, I said. We were busy. He asked if he could look from the outside and it didn’t seem reasonable to say “No” — so my mother agreed. The trouble was, my mother’s house does have an annexe, built for my grandmother who lived there for 30 years until the 1980s. It didn’t take our uninvited visitor long to find what he was looking for. Own kitchen, tick. Own bathroom, tick. Bedroom, tick. Letterbox, tick. Own door, tick. Even to us it appeared to be self-contained accommodation. There’d be a report, he said. We could appeal. But it seemed that my mother’s annexe was about to be given a council tax banding of its own. The property, buried in the ground floor of her detached house, could scarcely be sold separately but the minimum council tax in her region is £940 a year so she would certainly end up paying more. The programme to revalue every house in the land is likely to be so unpopular that the Government has said that it will not take place until after the next election — if then. For the time being, one of the easiest ways for councils to raise revenue is to diligently band self-contained accommodation — and there are signs that they are doing exactly that. Planning departments and council building regulations surveyors are expected to report new buildings to the Valuation Office Agency (VOA), a branch of the Inland Revenue. The VOA’s definition of a selfcontained unit is “a building, or part of a building, which has been constructed or adapted for use as separate living accommodation”. It doesn’t matter if the self-contained unit is detached or contiguous: it doesn’t even need its own door to the wider world. It makes no difference if the unit is in daily use by occupants of the main house or if it shares electricity, water and gas. A common condition of planning consent for garage conversions is that the annexe can’t be sold separately, meaning it has, by definition, no independent value, but even this doesn’t help: for council tax purposes it will be given a value, and a good one, by the VOA. The “don’t move, improve” generation will find themselves substantially worse off. There are exemptions to council tax, applied by individual councils and not the VOA, that most present as an alphabetical list that encouragingly has options all the way from “A” to “W”. Despite this, only one of the exemptions is often likely to apply, and that’s if the annexe is occupied by wholly dependent relatives (blood or marriage) aged over 65, and that only while they’re alive. “D” says you don’t have to pay if you’re in prison. “H” gives an exemption for the property to be used by ministers of religion “from which to perform his duties”. Once your self-contained guest flat has been banded for council tax, it isn’t easy to get it delisted. According to the VOA, just removing facilities — such as cooker, kitchen or bath — is not enough. It will not be swayed if you convert the kitchen into a utility room and will be unimpressed if you put a pinball machine in the bathroom. Leaving the drains in place will be enough to make them suspicious. In their words “any alterations must be significant, extensive, and change the character of the room completely, so that it can no longer be used in its original form without substantial works of reinstatement”. I used to feel a sense of wry amusement when I looked at old buildings where windows bricked up to avoid the “glass tax”, finally dropped in 1851, still remain blocked. Fast-forward and my own office is lovingly crafted from what was a double garage. It shares all services with my main house, could not comfortably be let separately and my planning consent doesn’t allow it to be sold on its own. But these days I look out nervously. What I don’t want to see is a black Mondeo whooshing up my drive. Add these to the "Sheds fiasco" and people wonder why Slough's a dump!! Could it be a BTLer who took advantage of all the Europeans coming here but who now needs to sell up since they went home? You obviously haven't been to Slough recently, (not that i blame you lol) no ones gone home. Still room to put a dormer in. Because it's Slough - What local style is there to match? I know someone who bought one of these things- an old semi that was split into four units- so he 'owns' a quarter of a house! If the market turns people who bought these will be screwed- they will be unsellable. It's not restricted to Asians, if this is the case. I know a town in the Cotswolds where this has happened twice down one road, and it was recently done down a street I once lived in, in all three cases the new "house" was nothing more than a joke really, with a strip of garden about as wide as a bread knife. almost the entire population of slough is asian, that it why slough is called 'little india'. Right. It's business as usual regarding immigrants in Slough. They're still better off here than back home. Many now have kids born here (unplanned of course!). These are almost certainly Asian families where living a dozen to a house is not unusual. Nothing more than a family partition, turned into a bit of a local craze. If the situation is similar to neighbouring Hillingdon then a lot of these will have been done without planning permission. It is mainly Asian families who fall back on the do not understand the rules defence in the hope the Local Authority do not notice and they get to keep the development under the time lapse rule. Bloke over the back from me had a large back garden built a complete two storey house in it, on checking the LA planning portal for the postcode there was nothing. I took pictures of them carting the (full) bathroom suite in and sent them to the council planning department but there were not interested. I moved shortly after but the google overhead suggests the structure is still there. Abuse of the situation was rife across the boro. with people mainly demolishing garages and building a single or in some cases double storey extension on the side of the house. Only time I can recall the authority being remotely interested is when one of these built right to the boundary and the structure wall abutted the pavement. All financed by the bubble and equity withdrawal in the belief it would improve the value of the property. Has this been raised in Parliament? I suggest you write to your MPs. I'm not against immigration (those who know my posting history can attest), but I am against the pursuit of grubby short term profit. Real wealth is being destroyed before your eyes. Wake up! The ratings bands are interesting as par for the area most of these as semi's before the garage adjustment would be rated in Band D.. Mind you financially there is not that much difference between the bands anyway. I suspect what happened here is one family chanced their arm and got away with it. The neighbours took note and thought they would have some of it. As they do come up for sale it should make an interesting conveyance when the solicitor needs to dig out the relevant permissions. People should touch these with a barge pole!! If there is no PP then it is very likely there will be no building regs checks..
Slough is full of Martians! It took me a while looking at the photos before I realised what they'd done. Bizarre. These houses look like crap. They also look like accidents waiting to happen, if the inside in any way resembles the outside. So, you apply for planning permission you will most likely be rejected, but if you don't you're more than likely to get away with it? Next time I read a news story about a gas explosion or a house burnt down because of faulty wiring, I'll know the reason why.